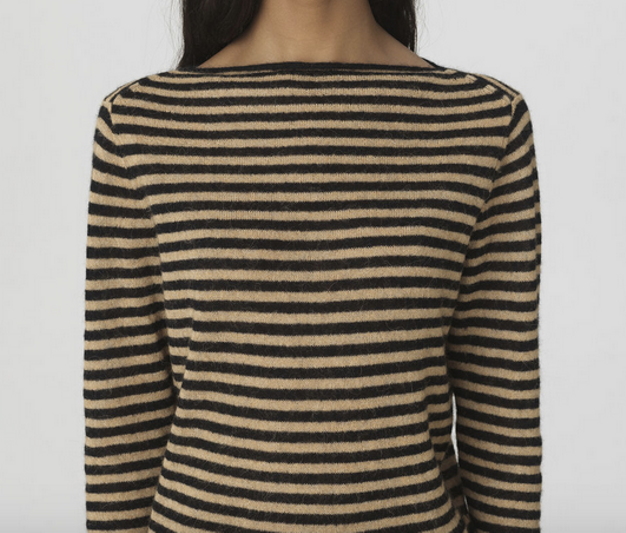 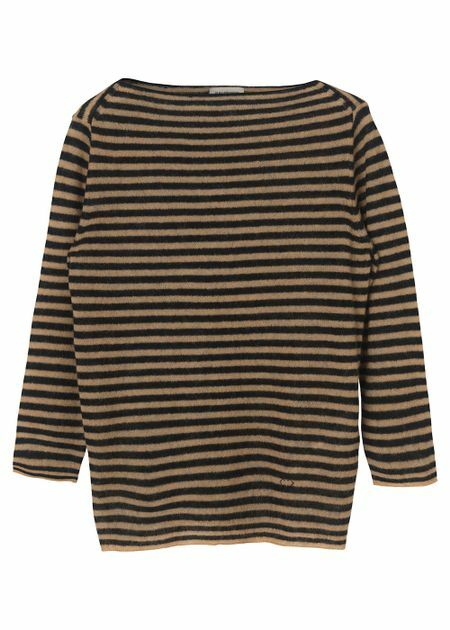 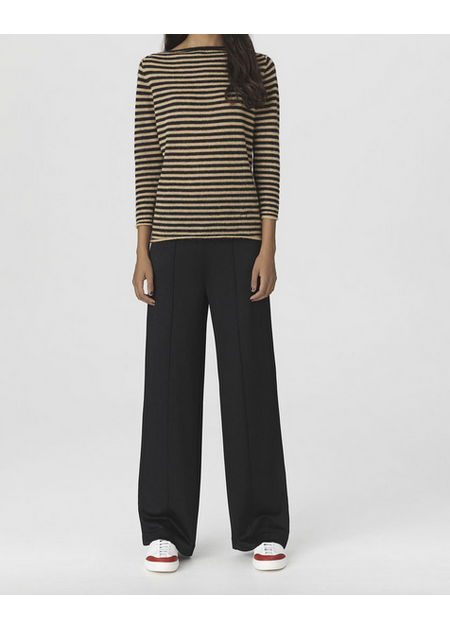 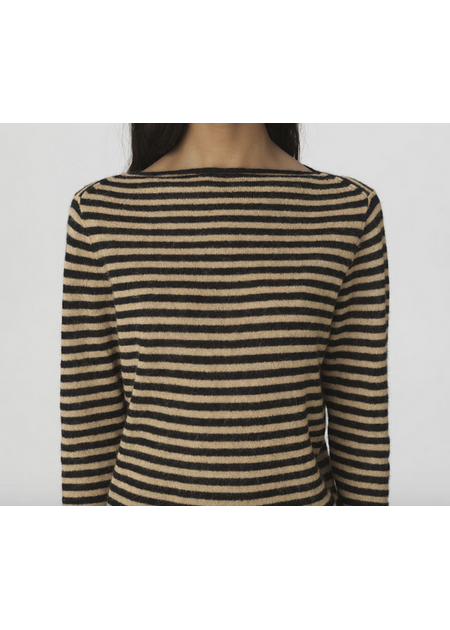 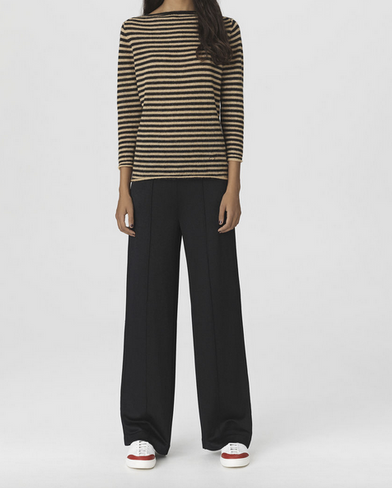 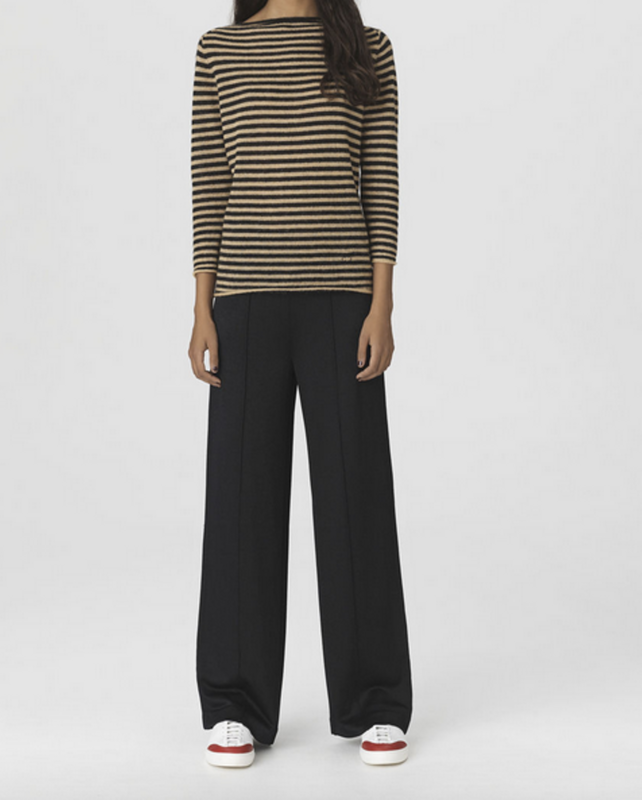 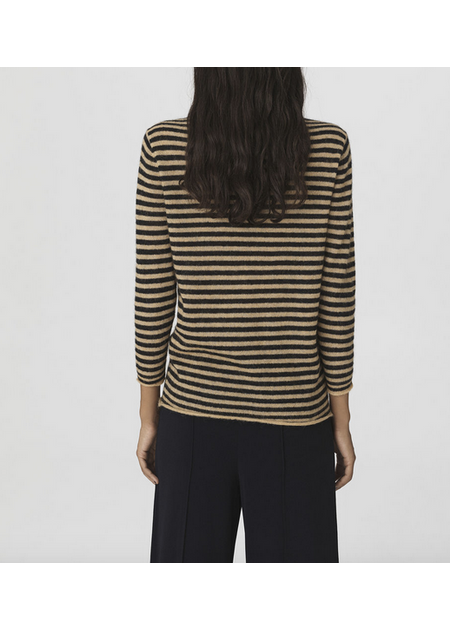 Nice thin knit in alpaca and merino wool from Danish By Malene Birger. 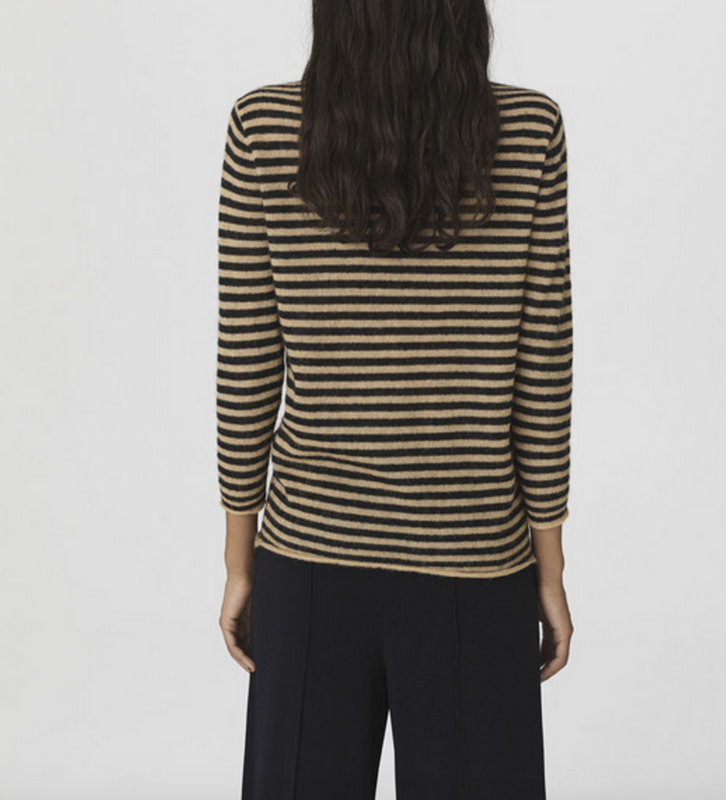 This super luxurious sweater has a simple design with cropped sleeves and a nice boat neckline. Has a nice little detail with the well-known arabic flower emblem at the seam, embroidered in the knit. 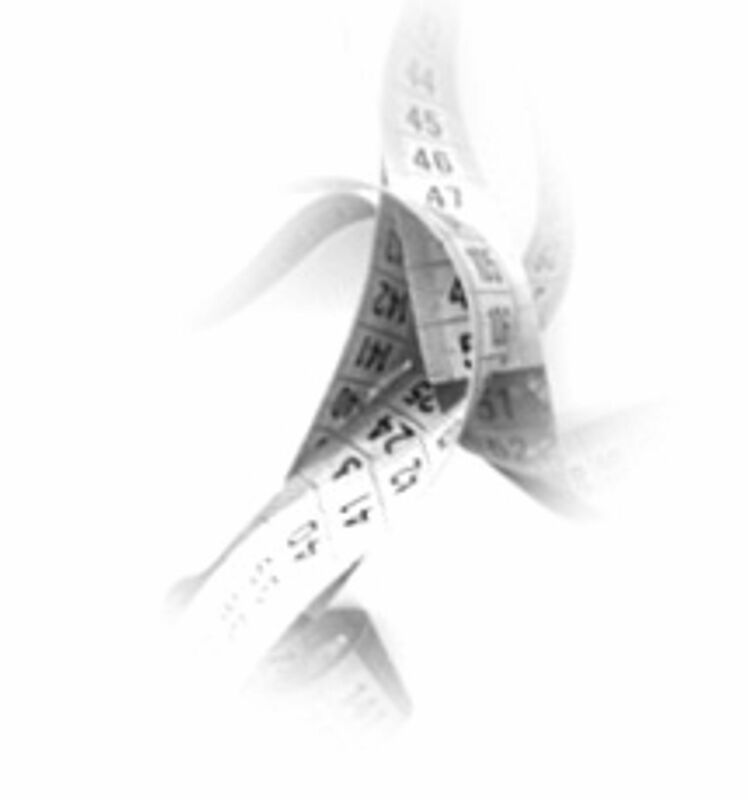 Chest size M = 2 * 48.5 cm. 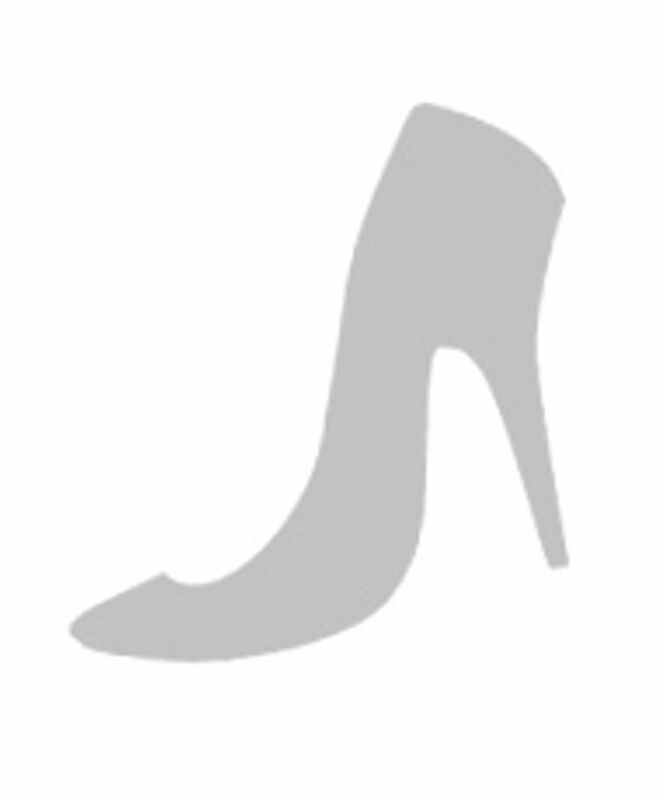 Length size M = 61 cm.